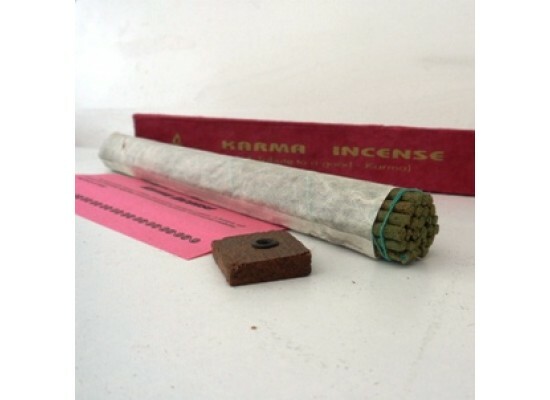 Karma Incense (26 Sticks) . Made with 56 medicinal and aromatic herbs. It is said to lessen pain, stimulate digestion, and enhance mind clarity. 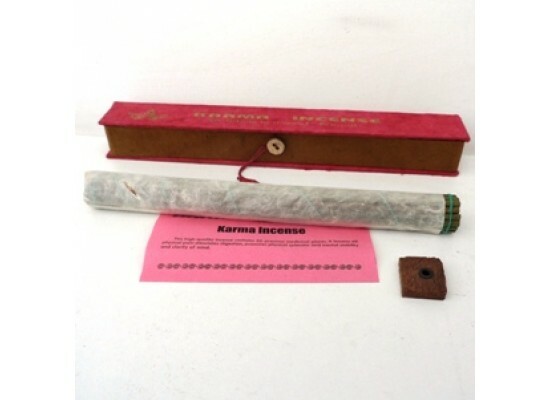 Produced by the Buddhist Incense Centre, Kathmandhu. Box includes small wooden incense stand.